On this page you will find an overview of all available Grand Theft Auto 5 Cheats for Playstation 4. Please remember to use a separate savegame to cheat. All cheats are entered as always with the Playstation controller during GTA 5 runs. In this Cheat List 29 active cheats are available. With this cheat code you will change the wether in GTA 5. Weather types are sunny, clear, cloudy, smoggy, overcast, rainy, thundery, clearing and snowing. With this cheat code all cars in GTA 5 are slippery. With this cheat code you will get a higher wanted level. 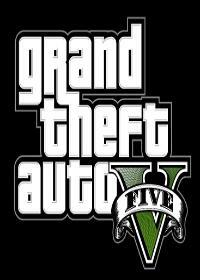 Is your wanted level in GTA 5 to high for you, then just type in this cheat code for PS4. The cheat code to be invincibil is active for 5 minutes after you give in the cheat with you PS4 controller. You can use this cheat 3 times, on the fourth time the cheat is disabled. Enter a vehivle and give in this cheat code with your PS4 controller. Then press O to jump. After typing in this cheat code you are equiped with an parachute. Then press X to use. To get some weapons you can give in this cheat code. This cheat code let you spawn a buzzard helicopter with weapons. This cheat for Playstation 4 can let you spawn a golf cart. This cheat code for GTA 5 on Playstation 4 lets you spawn a limousine. This code for GTA 5 on Playstation 4 lets you spawn a BMX bike. This cheat for the PS 4 lets you spawn a two door sports car named Comet. This GTA 5 Cheat Code for the PS 4 can you spawn a sports car with the name Rapid. This Grand Theft Auto 5 code for the PS4 lets you spawn a garbage truck. Enter the code as usual with the Playstation controller and the garbage truck appears. This cheat for the PS4 lets you spawn a racing machine called PCJ-600. This code for the Playstation 4 lets you spawn the Sanchez cross bike. If you want to fly a small plane, is this the correct code. Hold Square (jump button) for higher jumps, after activating this cheat. This code lets you fill your health bar again. Enter this cheat 4x for increased effect, fifth time disables this code. This cheat code is for the flaming bullets. After you enter the cheat with the controller, you can dish out explosive punches and kicks. The explosive Ammo Rounds are also known as “Bang Bang”. To run faster, just give in this cheat with your PS4 controller. If you want to swim faster, you can use the controller to enter this code.